If you need to use a phone please make sure you check that there isn't an error message when submitting the form and make sure you receive the confirmation email from us that we've received your application. If you didn't receive a confirmation email, please use our Contact Us page to let us know. Thank you! 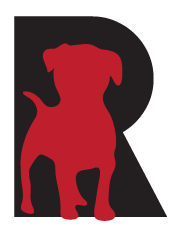 Thank you for contacting Rescue Dogs Rock, Inc., to a add a new member to your family. We would love to match you with a great rescue dog. Please read below and then answer every question. To adopt a dog from Rescue Dogs Rock, please start by filling out our on-line application. We will check all your references, including and landlord approval, and if all is well, we will then schedule a home visit. * Puppy 5 months and younger $400 per puppy. No exceptions will be made. All current pets in the home must be spayed/neutered – we do not adopt out to homes with unaltered pets. You must be at least 23 years old, or if living with parents, have written parental approval. If you think you want to adopt in the near future, get your application in early – you can be pre-approved for future foster or adoption. By submitting the below form, you are agreeing that: I understand all of the questions and have completely read the application and understand that this puppy MUST be indoors and this puppy will not be chained/penned outside. I further understand that if for any reason I want to give up this puppy, I will email Rescue Dogs Rock and undergo a 14 day waiting period in which representative from the organization of Rescue Dog Rocks will work with me to resolve any issues with the puppy. I also understand that a representative from the organization may visit the dog to ensure that it is well taken care of; if we find that the dog has been neglected or abused in any way or for any reason, we reserve the right to remove the dog from the premises. Your form submission below authorizes us to do so as necessary, and automatically transfers ownership rights of said puppy back to Rescue Dogs Rock at that time. Please choose your type of residence. If you chose other type of residence above. Please explain. We request this information so that we can verify you are permitted to have a pet. I have read all the above information carefully and have complete this application honestly. I understand that omission of information and/or failure to answer all questions and sign the application can result in this application being declined. Also, if an omission or untruth is discovered after an adoption takes place, I understand that Rescue Dogs Rock reserves the right to annul the adoption and reclaim the animal. If the application passes this review, I agree to a home and yard visit on a mutually agreed date by a Rescue Dog Rocks volunteer or a courtesy visit through another reputable rescue before an adoption decision is made. In addition, I understand the adoption decision is dependent on many factors, including but not limited to the compatibility of the family and home to the individual animal, and other applications received on this animal. I understand it is the organization’s prerogative to decide which home is the most appropriate and that their decision is final.